Leicester City fans takes pictures while watching the game against Manchester United on a big screen in Bangkok on Sunday night. 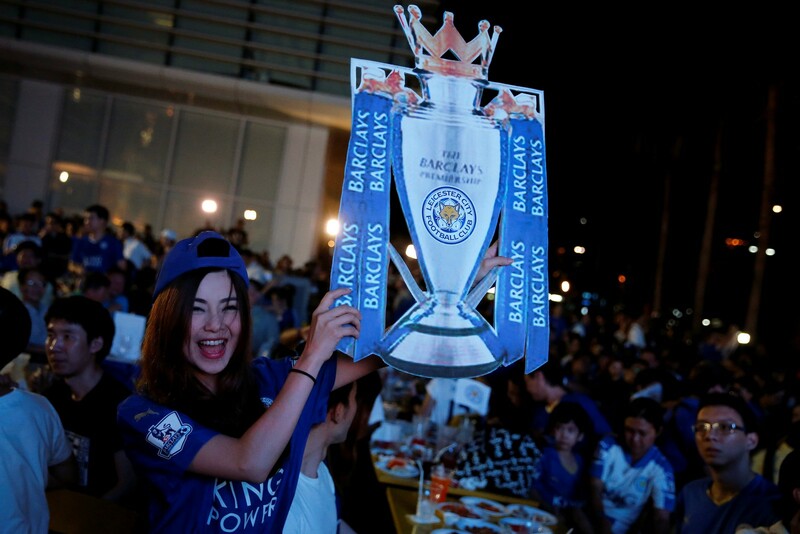 BANGKOK - Bangkok's growing contingent of Leicester City fans guzzled free beers and plates of fried rice laid on by the club's Thai owners at a raucous big screen broadcast of Sunday's nail biting 1-1 draw with Manchester United. 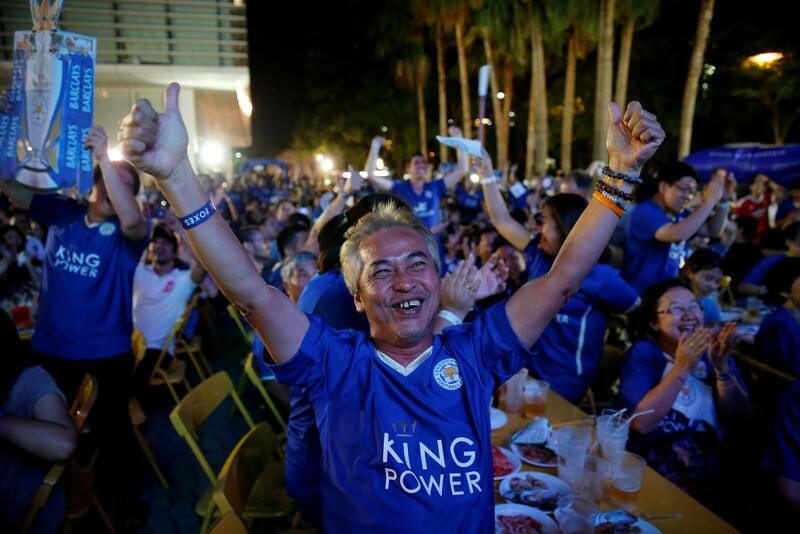 The ranks of Leicester supporters in Thailand, or "Siamese Foxes", are swelling each week as the Premier League leaders inch closer to one of sport's most improbable championship victories. 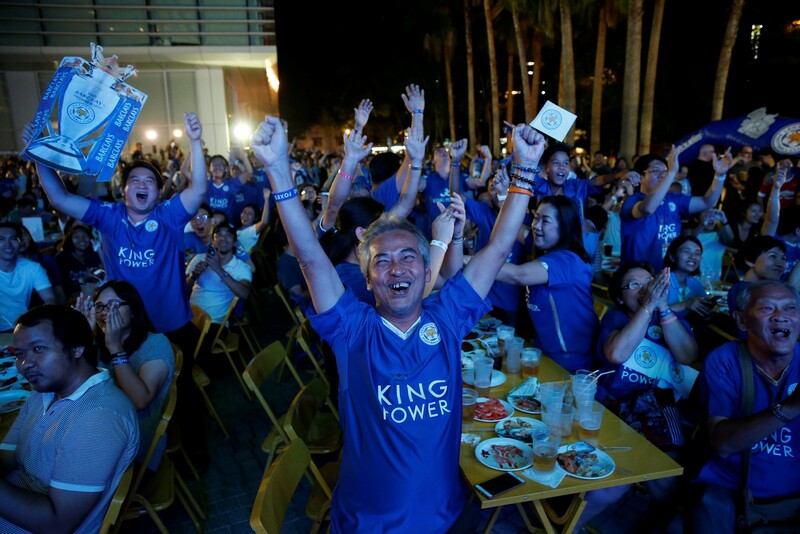 Hundreds gathered for the Sunday evening outdoor screening at the downtown headquarters of King Power - the Thai duty-free giant founded by Vichai Srivaddhanaprabha, who bought the midlands club in 2010. 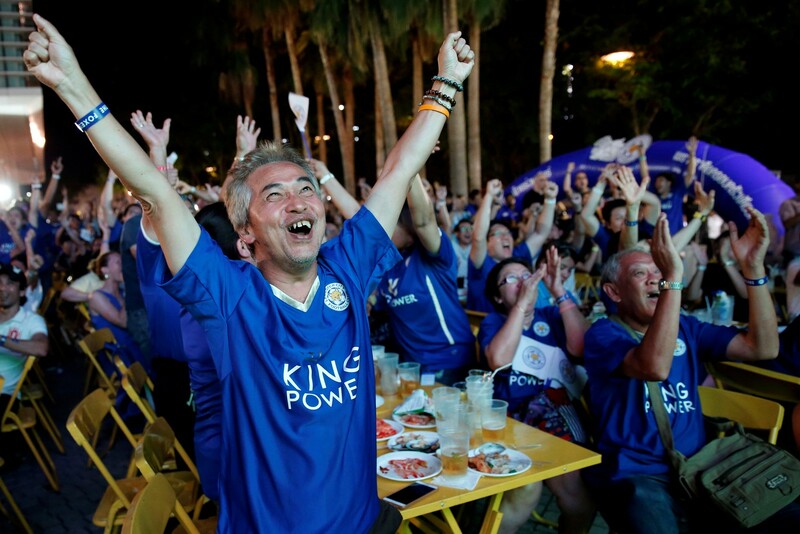 Bangkok's growing contingent of Leicester City fans guzzled free beers and plates of fried rice laid on by the club's Thai owners at a raucous big screen broadcast of Sunday's nail biting 1-1 draw with Manchester United. 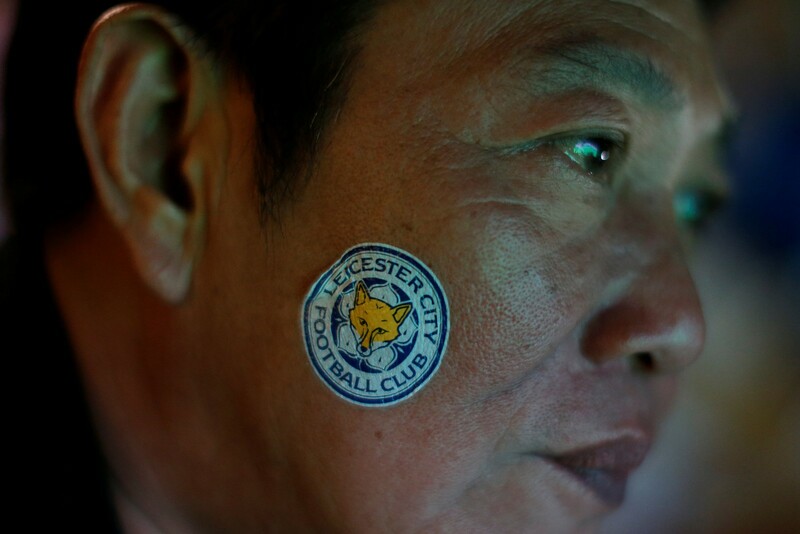 Lubricated by free beer and the see-sawing game, the lively crowd - many sporting club shorts, blue bandanas or Fox-shaped stickers on their cheeks - screamed on every Leicester attack. As the clocked ticked down, the crowd erupted - confident that the Premier League title will soon have a Thai connection. "The Siamese Foxes will win the next game against Everton for sure, it's a home game," said Wattapat Pornpiwat, a King Power employee who started supporting the team after Vichai's takeover. "It is historic for Thai people and the country that team is 'Number 1'... we'll coming back here to cheer until we're champions," added a jubilant Wattapat. Fans cheered on their new heroes in blue, but they also did the once unthinkable in the football-mad country - boo Manchester United. English Premier League giants Manchester United, Liverpool and Chelsea traditionally draw a strong following. Vichai and his son Aiyawatt better known as "Top" want to turn Leicester into a global brand and will soon be armed with the windfall from next season's Premier League television rights and potentially a remarkable underdog title win to boost the fanbase. In a sign of the possible changing of the guard, fans roundly jeered England and United icon Wayne Rooney after he was booked for fouling newly crowned PFA player of the year Riyad Mahrez.